Hard Choices: Amphorae and concrete tanks give beverage producers new, old options. The origin of making wine in clay is subject to some debate. 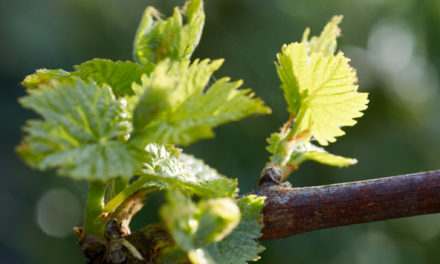 Greeks and Romans, of course, were fermenting grape juice thousands of years ago. But some archaeologists point to early civilizations of the South Caucasus, in the current-day Republic of Georgia, as home of the original winemakers. Seeds of cultivated grapes—the kind used to make wine—dating to 6000 B.C. have been discovered there, along with clay vessels used to store olive oil and other foods. Ancient Georgians buried large pots, called qvevri, in the ground and filled them with crushed grapes to ferment. Many modern Georgian homes still make their own wine using these time-tested methods. Today, stainless steel tanks are the norm in wineries, as well as wooden (usually oak) vats and barrels. 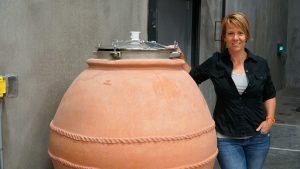 But as interest in ancient methods expands, distributors are seeing a growing market for materials like terracotta and concrete, as an increasing number of vintners, brewers, and cidermakers are investing in fermentation vessels built using principles that date back millenia. 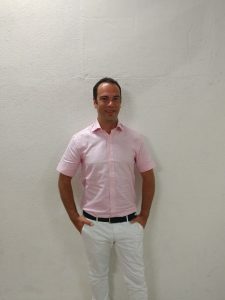 IPak Wine owner Manu Fiorentini focuses his distribution of concrete tanks to the West Coast because he can better control shipping and unloading such heavy tanks. 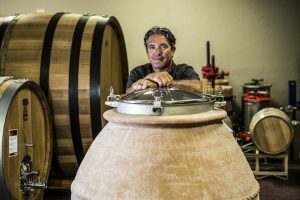 Paso Robles, Calif.-based IPak Wine imports terracotta amphorae from a small manufacturer in Tuscany and concrete fermentation tanks from Nico Velo in the Veneto region. Company owner Manu Fiorentini discovered wines made in amphorae while visiting family in Italy in 2012; intrigued by the local wines made in clay, he sought out a supplier in Impruneta, near Florence, an area renowned for the quality of its clay for many centuries. Both concrete and terracotta amphorae, he says, offer a natural, clean method of fermenting and aging wine. Traditional amphorae are all handmade. Artisans roll coils of clay and form the structure from the bottom up, fusing each coil to the one below it. To keep the structure from collapsing on itself, the piece is left periodically to dry before adding another layer. The process can take many days to complete before the amphora is ready for firing. IPak amphorae are available in sizes ranging from 80 gallons to 210 gallons. 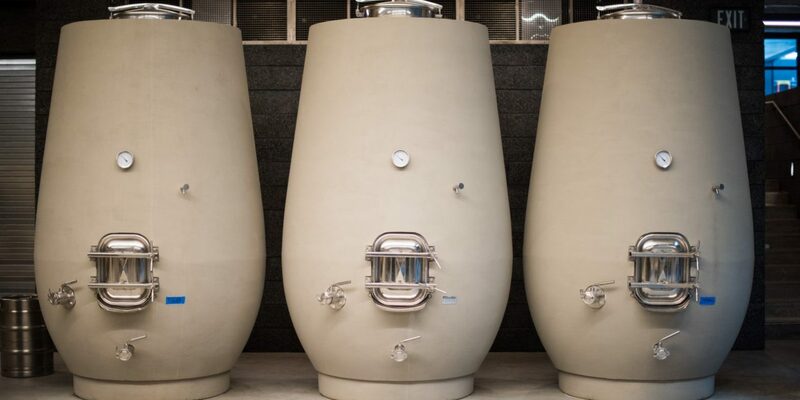 A mid-range, 132-gallon vessel sold by IPak costs around $3,500, making it a significant investment for any winery (a stainless steel tank costs about $1,000)—but the benefits are worth the expense, according to those who use them. Winemakers are drawn to amphorae for the organic, clean, neutral effects they bring to fermentation. Unlike stainless steel, the material is porous, allowing micro-oxygenation without adding the flavors that oak can impart. The vessels’ porosity lets crystals of tartaric acids accumulate in the tiny fissures on the surface, eliminating the need to filter them out. Clay’s natural thermodynamics keep internal temperatures low, enabling a slow, cold fermentation period. And many winemakers cite a refreshing minerality wines can pick up from clay contact. Horn says both the shape and the clay contribute benefits to fermentation. 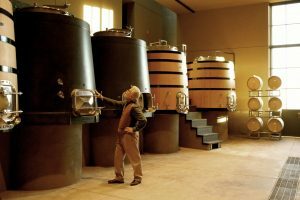 Because his tanks have tapered, rounded bodies, he explains, as the juice ferments, carbon dioxide follows the walls of the amphora to the top, creating a churning or swirling motion that keeps the solids distributed. Both Fiorentini and Horn say terracotta vessels often draw producers who focus on biodynamics and organic farming. 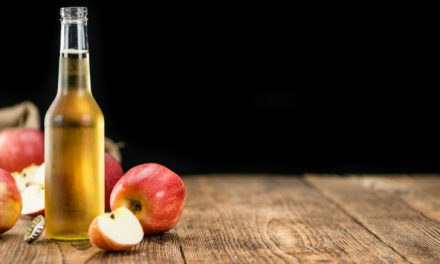 Stuart Madany at Castle Hill Cider in Keswick, Va., says his interest grew from his fascination with the writings of Viktor Schauberger, an Austrian forest warden who, in the mid-20th century, developed theories about natural energy forces and physical structures that complement them. The rounded, egg-shaped vessels used by ancient cultures to store food and to ferment wines, Schauberger believed, helped drive those forces. The swirling effect they create during fermentation is a visible example. Madany imported four 60-gallon and four 280-gallon vessels from the Republic of Georgia and buried them in the ground at the cidery, where they’re used to produce Levity, Castle Hill’s flagship cider. A cold, slow ferment means he leaves the juice and lees in the qvevri for as long as five months. “You get extra complexity from the interplay of the wild organisms in it,” he says. Many of the benefits of terracotta are also imparted by concrete, a slightly more modern material. At IPak, Fiorentini focuses his distribution of concrete tanks to the West Coast because he can better control shipping and unloading such heavy tanks. 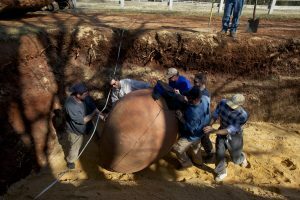 His amphorae range from 80 to 210 gallons, while concrete tanks range from 210 gallons at the smallest up to 2,000 gallons, each about five inches thick and reinforced with steel rebar. Fiorentini says that, like clay, concrete allows for natural micro-oxygenation and “traps” some tartaric crystals on its slightly porous surface; it also has natural thermodynamic characteristics. “An amphora sweats a little on the outside to cool itself down during fermentation,” he explains. “Because of the thickness, concrete absorbs heat and dissipates it across the surface slowly.” However, with five-inch-thick walls, concrete tanks can also be fitted with flexible pipes to circulate cold or warm glycol and prevent temperature spikes during fermentation. IPak works with Nico Velo concrete, located near Venice in the Italian Dolomites. “These tanks are made with sand that’s very pure, very clean,” with concentrations of magnesium and calcium coming from the Brenta River bed. Concrete tanks offer more diversity than traditionally formed amphorae. Besides a wide range of sizes, tanks also come in many different shapes. Sonoma Cast Stone, located in Petaluma, Calif., produces seven different figurations—egg, amphora, conical, square, rectangle, teacup, and NuBarrel. The company can also customize tanks with customer logos and choice of color. Today, Sonoma Cast Stone supplies tanks to wineries reaching from the U.S. West Coast to South America and Europe. 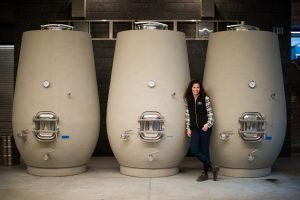 The company began with an egg-shaped fermenter and expanded into more shapes as it innovated to meet wineries’ demands. “One thing you’ll find about winemakers is, nobody wants to be first and nobody wants to be second. 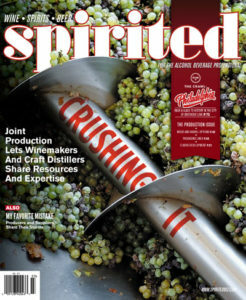 It doesn’t matter what size or shape you make, winemakers will want something a little different,” Rosenblatt says. Innovations include creating tanks ranging in size from 240 gallons up to 1,500 gallons; plans are in the design stage for a 6,000 gallon-capacity tank. Sonoma Cast Stone produces between 80 and 100 tanks each year, all of them customized for each specific client. In 2015, the product line expanded into yet another new area. 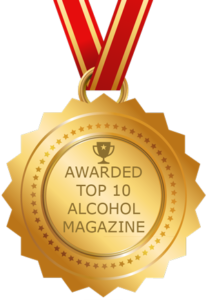 “We took a hard look at oak barrels for aging. It’s crazy to throw away a $1,000-barrel every few years,” Rosenblatt explains, “so we came up with a design that will do everything an oak barrel will do and an awful lot more.” Called Nu-Barrel, it costs a little more than traditional oak, he says, but pays for itself quickly. “A barrel lasts about four years, but a Nu-Barrel lasts four decades.” And the benefits of oak can still be derived by adding oak staves or chips to the concrete barrels. Buty Cellars in Walla Walla, Wash., winemaker Chris Dowsett ferments around half of his Semillon and Chardonnay in concrete tanks. 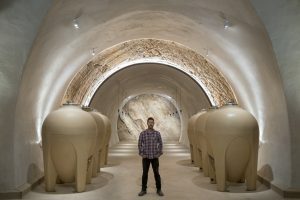 At Buty Cellars in Walla Walla, Wash., winemaker Chris Dowsett ferments around half of his Semillon and Chardonnay in two cube-shaped concrete tanks made by Nomblot, a French company, which he chose to maximize winery floor space. The thick walls keep the temperature low without the use of cooling agents like glycol, so he gets a long, slow fermentation. An added benefit, he says, is that the wide, flat floor of the cube keeps the lees better distributed. Now, Dowsett explains, he stirs the lees only once or twice during the entire fermentation, instead of every week or two as would be done for barrel fermentation. For Epoch, Fiorentini has dialed in specific uses of each material for different varietals. “Each definitely has its own benefits,” she says. 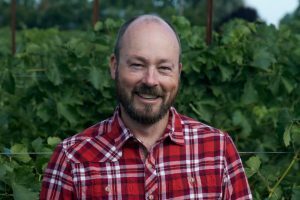 “I like putting our Grenache Blanc in concrete, because it has great acidity and I love bringing out the mineral side of this citrus-flavor-driven variety. We’ve also done Viognier in concrete, which gives some great texture and freshness to a wine that can sometimes be a little heavy. In amphora, I’ve liked our muscly Syrah the best, because it was fun to have a blending component that was soft, round and earthy, not all fruity. 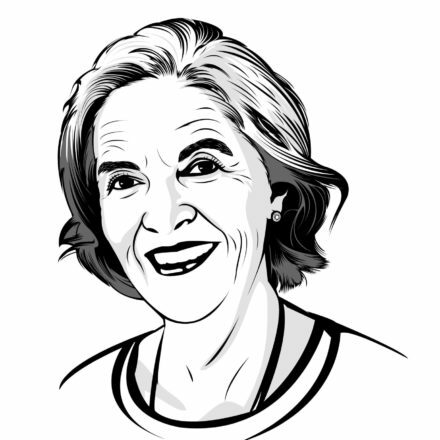 Anne Sampson writes about wine and the people who create it from her home in the heart of Washington’s wine country. She is the Vine to Bottle columnist for Edible Seattle magazine, and she also writes about food, travel, and culture around the Pacific Northwest. 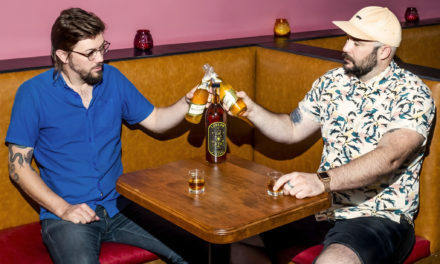 Last Call: Ludlow Liquors in Chicago, Ill.